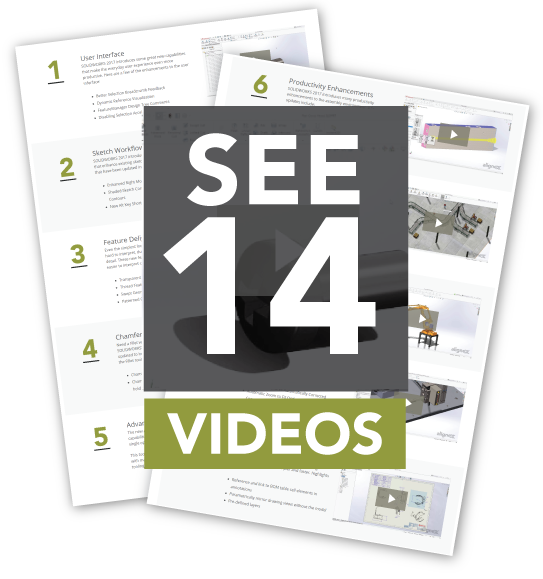 Explore the new features of SOLIDWORKS 2018 with our 14-part video series. Not able to attend one of our SOLIDWORKS 2018 launch events? Check out videos that highlight top new features. With more core power and performance, and new capabilities for emerging technologies, it’s never been easier to design and create with SOLIDWORKS, the design and development solution chosen by more than 3.1 million users worldwide. Fill out this short form to gain access to the videos!